If it’s your first time jailbreaking an iPhone you probably don’t know many Cydia tweaks and apps and won’t find Cydia or jailbreaking that useful. There are many ways you can customize your device after jailbreaking it. You can install themes, change icons, resize icons and do much more. 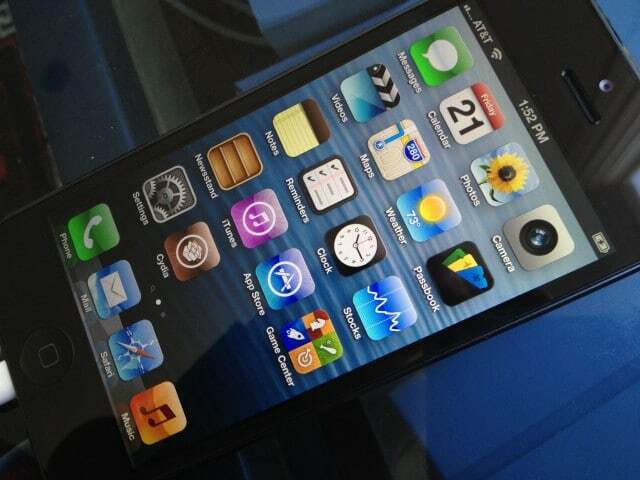 Many restrictions can be eliminated from the device after jailbreaking it. Before doing any of this customization, once you install Cydia, apps and tweaks need to downloaded first. Here are the best tweaks and apps you’ll find in the Cydia store. One of the greatest advantage of jailbreaking is that you will no longer get scammed by your carrier. Most carriers charge their users to tether their devices with a computer even if the user is already paying for data. Now that you have a jailbroken device, you can download TetherMe from Cydia and share your data with other devices like your laptop or any other device that is WiFi capable. TetherMe allows you share you iPhone data directly using the USB cable or via WiFi and Bluetooth. You will not need to have a data plan and your carrier will not know that you’re tethering, just don’t go over your data cap. TetherMe is available in the default BigBoss repo for $4.99. Just search TetherMe it in Cydia. If one of the reason you jailbroke your device was to give the device a graphical overhaul then you’ll need to install WinterBoard. WinterBoard lets you install from thousands of themes available for the iPhone. It’ll let you change the look of you LockScreen or status bar. You can download themes for WinterBoard from Cydia or the web. WinterBoard is free in Cydia, just search it. We can set up a passcode to unlock the iPhone or to reset it, but not for turn it off. If someone steals your iPhone and the person who steal it turn it off, any tracking software like FindMyiPhone will become useless. So if you want to prevent this from happening, you can download Powerguard from Cydia. 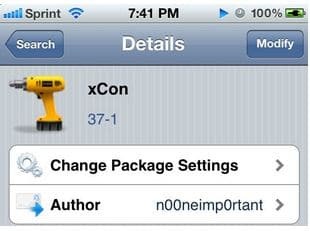 With this tweak you can set a passcode so it gets asked every time the iPhone get turn off. 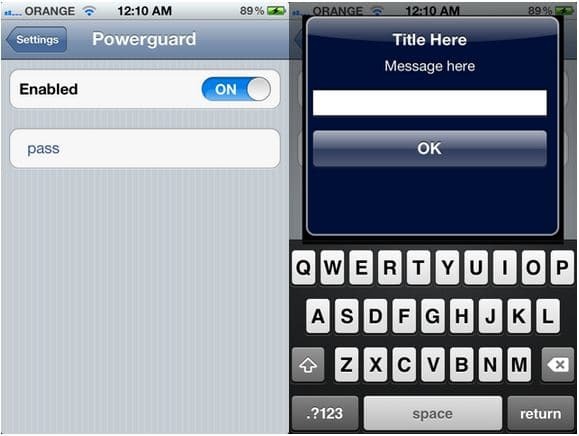 Powerguard is available in Cydia for $.99. If you don’t like the standard iOS app switcher, you can download a better one. One of the best you can download is Auxo. Auxo replaces the stock app switcher giving you more options. Bringing up the app switcher with Auxo lets you preview each of your apps. The tweak also some toggles to quickly turn off or on options from the Settings like adjusting the brightness, turning off/on Bluetooth, Airplane, WiFi and more. Auxo is available in Cydia for $2.99 and works best with an iPhone 5. After jailbreaking, if you want or need to navigate through the iOS files in your iPhone, the best thing you can do is to purchase iFile. iFile is the best file manager you’ll find in Cydia. The app will give you full access to files on your jailbroken device letting you upload, edit, delete, move, or rename any files. iFile also lets you open and see any files like movies, audio, photos, HTML files, PDF, Microsoft and Apple iWork files. 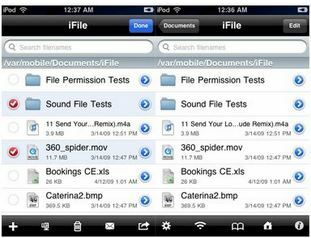 You can download iFile from Cydia for $4. While browsing the web many time you find files that you want to download it directly to your phone storage to use later or without an internet connection. 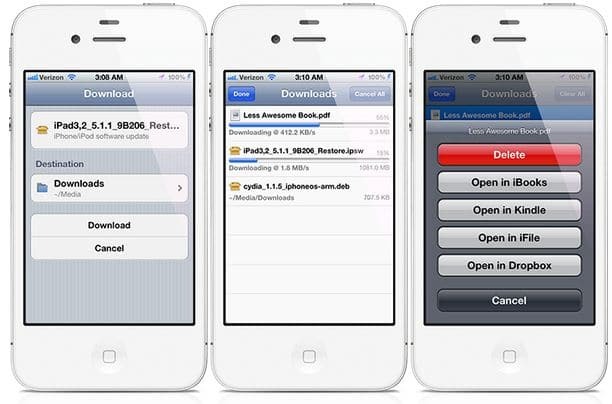 To download any files directly to your iPhone, iPad, or iPod touch all you need is Safari Download Manager. Safari Download Manager is a plugin that add a download manager to your device web browser. The plugin only downloads files from Safari, so you’ll need a file manager such iFile to browse your downloaded files. Safari Download can be downloaded from Cydia for $5. Don’t like the built-in Message app in the iPhone? Well, you’ll love biteSMS. BiteSMS is a replacement for the iOS built-in Message that let you compose and reply to messages much quicker. The app is free with ads, $7 to remove ads. The iPhone has many restriction when it’s using the internet from your carrier. Several carriers restrict FaceTime to WiFi only. The App Store only let you download apps less than 50 MB when using cellular data. If you want to bypass these restrictions, and more, you can make your iPhone to think it’s on WiFi when it’s using cellular data. This is possible by downloading 3G Unrestrictor from Cydia. It also work on LTE as well. 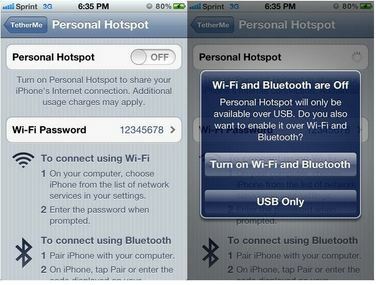 The tweak cost $4 and is compatible with the iPhone 5, iPad mini, and iPad 4. With Springtomize you can customize your device Springboard however you want. The tweak comes with many options to modify any aspect of the Springboard. It lets you change the carrier name, resize icons, hide apps label, modify the lockscreen and much more. Springtomize can be downloaded for $3.